Residents of all ages with special needs, those without transportation, and the elderly require extra attention and preparation in order to stay protected in weather emergencies. Though Pinellas County government has education programs in place to help these citizens prepare and find safe shelter, the responsibility for storm preparation rests with individuals and their families or caregivers. That planning needs to happen early. DO NOT WAIT UNTIL THE STORM IS RAGING. Emergency personnel may not be able to respond when high winds make road travel hazardous. Plan for safe shelter now. Residents with certain medical conditions can get help during an evacuation. Special needs shelters will open for those requiring minimal medical assistance. If you need transportation to a shelter, pre-registration is required. If you have your own transportation to a special needs shelter, pre-registration is not required, but is strongly recommended. For those requesting transportation assistance, your local fire department will contact you before an evacuation. You may bring your caregiver and/or family with you to a special needs shelter. Please note....you are not obligated to go to a special needs shelter once registered if you have made other safe and secure arrangements. You will need an email address to use the online form. Don't have an email address? Follow one of the links below to set up a free email account today. Call Pinellas County Emergency Management at (727) 464-3800 to receive a form by mail. Call your nearest fire department or home health care provider. Once registered, your application will be reviewed. If we need additional information, or if other options are available to you, we will contact you at the phone number you provided. Service animals that have been individually trained to do work or perform a task for a person with a disability are allowed in any shelter; there is no registration requirement. Pets are only allowed in pet-friendly shelters. If you are registered for a special needs shelter and you have no other options for your pet, call Pinellas County Animal Services at (727) 582-2600 to register your pet. Animal Services will make arrangements for your pet to be taken to a host home. Pets will not be allowed to stay in the special needs shelter. Please visit our Public Shelter List to see when these shelters are open. The Florida Department of Health in Pinellas County and School Board staff these shelters with nurses and other medical personnel. Oxygen is available, but air conditioning may not be available if power is interrupted. Before going to a shelter, arrange to bring at least a two-week supply of any medications you need along with any needed portable equipment. If you have special diet requirements, be sure to pack your own special nonperishable snacks. For your own comfort, bring items such as bedding, sheets, pillows and blankets. Cots are available only on a limited basis and are not guaranteed. Special needs shelters do not have hospital beds and cannot assist those with acute medical problems. Start a personal support network of people you can count on during an emergency. Create an emergency health information card that is customized to you. Complete an emergency contact list with names and phone numbers of family members, friends, doctors, insurance information and hospital preferences. Conduct an ability self-assessment. Know what you can and cannot do. Talk with your health care provider about a realistic plan. Maintain a current list of medications and at least a two-week supply. Keep important equipment and assistive devices in a consistent, convenient and secured place. PSTA buses will run nearly all their routes until it’s no longer safe to travel. During an evacuation, buses will also run from transfer stations to local shelters. All rides are free during an evacuation. Be prepared in advance by locating your nearest bus stop. Call the PSTA InfoLine (727) 540-1900/ TDD (7276) V540-0603. For current route information during a storm, go to www.psta.net/weatheralert.php . The National Weather Service has information on its website to help the hearing impaired utilize NOAA Weather Alert Radios for emergency weather notifications. Go to www.nws.noaa.gov/nwr/info/shhh.html . Keep cash on hand in case you need to buy special supplies. Be an advocate for yourself! Practice how to quickly explain your condition and your adaptive equipment to someone who is helping you. Know how local authorities will warn you of a pending disaster. Build a support network of friends, family and neighbors. Let them know your needs in an emergency situation and how they can assist you with your plan. Connect with a local neighborhood group such as CERT (Community Emergency Response Team), neighborhood watch, neighborhood associations or a nearby place of worship. Make sure your local fire department knows your needs. Preregister if you need transportation or a spot in a special needs shelter. A NOAA Weather Alert Radio can wake you when severe weather is threatening. Be ready for local officials to come door-to-door to deliver emergency warnings and follow their instructions. If you are going to a public shelter, wear comfortable clothes and sturdy shoes. Have your “go bag” ready and let an out-of-town contact know where you are going. Take at least two-weeks worth of medication with you. Be sure to get your prescriptions refilled. Have a list of contact numbers and a copy of your personal medical information. If you stay home, never use candles when the electricity goes out. Stick to flashlights and lanterns. Help your friends and neighbors by sharing this information! For more special needs information, visit Ready.gov . The Special Needs Evacuation Assistance Program is for individuals who have no other evacuation plan and need government sheltering and/or transportation assistance during an emergency. 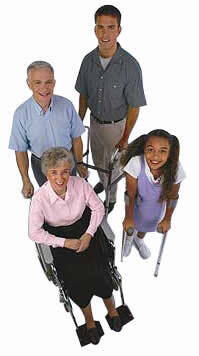 The program provides transportation to general shelters, special needs shelters, or a healthcare facility. It also can provide special needs sheltering for those that meet the criteria and are unable to make any other arrangements for shelter during an emergency. You can fill out a form online. The form will then be sent to the appropriate fire department. They will contact you if more information is required. You can have a paper form mailed to your home by calling your local Emergency Management at (727) 464-3800. For transportation, your local fire department will contact you prior to any evacuations. You do not need to be registered to go to a special needs shelter if you have your own transportation, but we strongly encourage it. You must be registered if you need transportation to a shelter. Do not wait until there is a threat of an evacuation or you may be too late. For transportation, if you have no other way to get to a shelter, you can register for transportation assistance. For special needs shelters, if you have no other options for sheltering and you require medical assistance such as oxygen, assistance with routine care and medications, or you are dependent on electricity, you may qualify for the special needs shelters. Shelters do not have hospital beds and cannot assist those with acute medical problems. Residents with higher acuity will be sheltered at a medically managed facility, such as a hospital or nursing facility. Can this program help me at other times? Yes, this program may be used for localized emergencies that require the evacuation of any Pinellas County residents. This could include, but is not limited to, gas leaks, sink holes, tornados, etc. What is available at the Special Needs Shelters? The Department of Health and the Pinellas County School Board staff these shelters with nurses and other medical personnel. Oxygen is available at the special needs shelters; however, it is requested that you bring your own concentrator. You will be provided normal meals only; but, will need to bring any special dietary foods you may require. Hospital beds are not available at the shelters. You must bring comfort items such as bedding, pillows, sheets, and blankets. Air conditioning will be available as long as power is available. Special needs shelters may have generators for essential electrical devices. You must bring any medications you require (at least a seven day supply), as well as special equipment you may need such as your oxygen concentrator, cannulas, tubing, etc. It is recommended that you bring your medications in the original medication bottles in case you require extended sheltering and need assistance obtaining a refill. Service animals may go with you, but other pets are not allowed in the special needs shelters. If you have not made any other arrangements for your pets, Pinellas County Animal Services will take your pet and care for it until you can return home. What if I am in a non-evacuation zone? If you are in a non-evacuation zone and you are not in a manufactured or mobile home, or dependent on any electrically dependent medical devices, you should consider sheltering in place; however, you should assess your individual situation. If you choose to stay home, stock up on supplies and take steps to make your home safe. Your home will be the most comfortable place during a hurricane. If you receive regular home deliveries of medical supplies or meals, speak to your provider to ensure they will be operational after the event. What if I register and do not qualify for a special needs shelter? If you do not qualify for a special needs shelter, you will be advised by your local fire department. Depending on your situation, you will be directed to go to a general population shelter or we will work with you to find an appropriate medical facility where you can shelter during an emergency.